The Internet of Things is capturing the attention of people. It’s basically a network of things that affect not only our lifestyle but how we work. This includes the countless numbers of devices around the globe, connected to the internet for collecting and sharing data. Starting from a simple toy to deadly weapons, pretty much every physical object can be transformed into the IoT. All it needs is a connection with the Internet and proper control. Internet of things is shaping the future and construction technology is no exception to that. Traditionally the reason for connecting the internet with the building automation system doesn’t exist. However, the quest for smart buildings entered the scenario anyway. Now the question is what is the primary requirement for a Smart building? 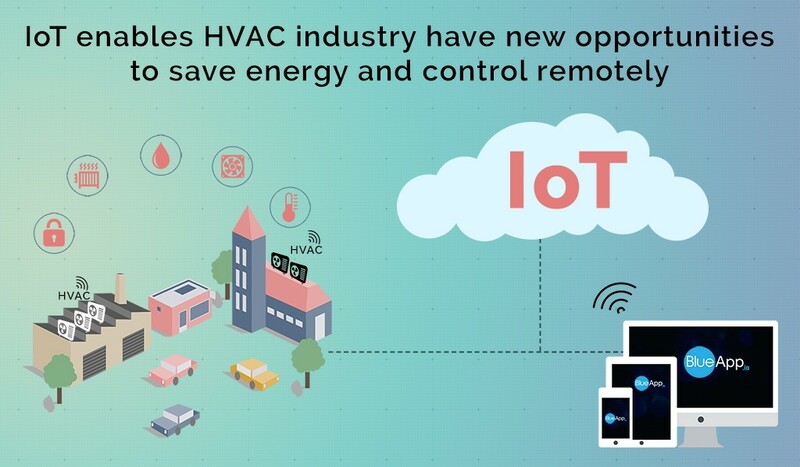 Smart buildings connect the building system for better safety and comfort. This includes a machine to machine connection with a certain flow of interaction. Accordingly, it is achieved by a connectivity between all the systems as well as equipment of the building. This calls for a cooperative collaboration and results in an efficient building with better security and comfort at a lower cost. Further, a smart building connects the people with technology. The sharing of information among different components of a smart building opens a platform for innovation. Also, by interacting with technology, better comfort is achieved with less capital, less energy and most importantly without harming the environment. Moreover, a smart building can save energy and lessen the harmful building management measures. Thus, resulting in a step towards saving the environment. As a matter of fact, smart buildings are connected to the smart power grid. This mean, the building is charged almost at the actual cost of production of electricity. This is connecting the building technology with an intelligent future. The concept of the smart building came into the scenario with the growth of advanced technology. Smart buildings and smart cities are opening the gates for the future. 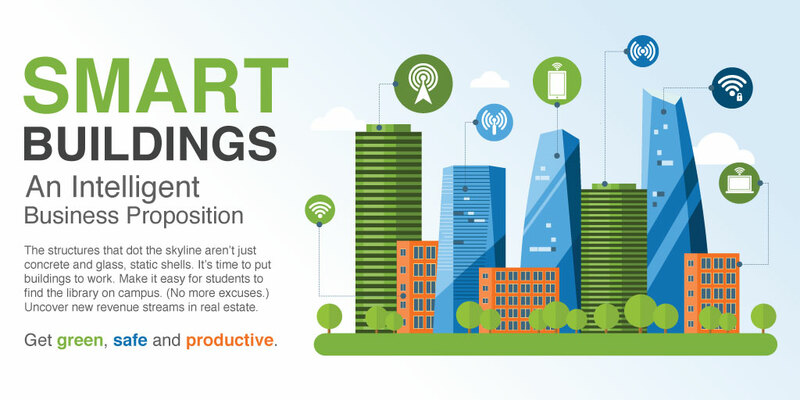 The internet of things is making way for a new breed of smart buildings. It offers more accurate and useful information. This calls for a smart system overall. However, the entire concept stands on the idea of connecting everything with the internet. Predictive maintenance is a technique that is made with the purpose of determining the condition of in-service equipment. This aims at two things. The prediction of possible equipment failures and the prevention of it. predictive maintenance uses the IoT sensors to get a report on the building that is under construction as well as all the equipment. This provides a clear idea of when the maintenance is required. Therefore, it lessens the required time for maintenance of the equipment. Also, it reduces the time and cost of the maintenance, such as the cost of spare parts and the production hours. Every country has their own regulations for monitoring and controlling air quality. Air quality measurement is the monitoring of the quality of air. The primary aim for doing this is to protect the environment and the humans from pollution. The air quality affects the productivity. The health condition of the workers depends on the air quality, therefore, affecting the quality of work. With the help of IoT devices, the air quality can be monitored and measured. The Carbon particles and harmful pollutants can be measured easily by using IoT sensors. Thus, IoT does the monitoring of health conditions as well as productivity. Another usage of the Internet of things in construction technology is the IoT-supported applications. The usage of thermal sensor and ultrasound have changed the construction procedure. It can help in checking the equipment and taking care of them as per the need. Also, the usage of ultrasonic sound detects the affected area. This is saving both the production cost and time by determining the place and type of maintenance required with the help of IoT technology. IoT devices have overcome the limitations of managers. The internet of Technology does the verification and measurement of the equipment. With this, taking care of the inaccessible parts became easier. It gathers real-time data with the help of sensors. Information is of primary importance in the world of smart buildings. The real-time data is now available with the internet of things. The sensors gather up all the necessary information and take action according to that. Construction works damages the environment. IoT devices allow the building to be eco-friendly. The buildings use minimum energy. It also detects the degradation beforehand. Hence, allows taking effective measures when needed. IoT technology uses the prefabricated building components. This guarantees a cost-effective and faster construction. Also, these smart buildings lessen the amount of waste produced during the construction. Therefore, it offers various ways of using technology to reduce the wastage. Using IoT reduces the cost of production and saves time. It monitors the problems efficiently. Accordingly, provide with the most appropriate solution. GPS tracking device, smart inventory management and monitoring with sensors are coming into the construction scenario. This is basically a smart way of managing the construction work. Moreover, IoT is cutting down the management cost and offering more efficacy. Usage of energy affects the cost of production and pollution. IoT technology is reducing both of these in construction. Sensors for controlling temperature, actuators, energy automation with real-time communication are some of the examples. IoT helps in inventory management and optimization of the assets. It manages large data and takes into account all the factors. Therefore, reduces the wastage of assets and energy. This also saves human labor and protects the human resource. As we all know, the internet is the sole thing today. We depend upon the internet for everything. Proper usage of the internet cuts down the wastage and increases productivity. Using IoT in smart buildings is the best example of this.